14K Solid White Gold Engraved Celtic Cross Wedding Band Ring. A Christian cross is carefully and beautifully engraved in between an engraved Celtic knot weave. Available in 6mm, 7mm, and 8mm widths (shown in 8mm). 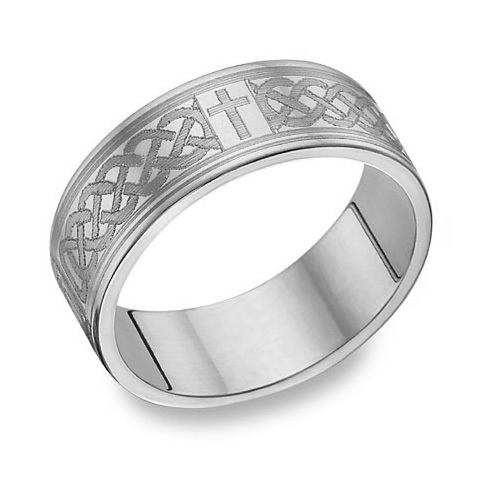 We guarantee our 14K White Gold Engraved Celtic Cross Wedding Band to be high quality, authentic jewelry, as described above.